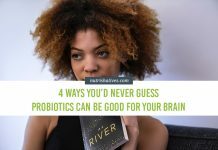 “Probiotics help you lose weight.” At first glance, this suggestion sounds ridiculously far-fetched, but there may be more to it than first meets the eye. Over the last few years, there has been a huge surge in research surrounding the many microorganisms found in (and on) the human body. These organisms are collectively described as your microbiota, which consists of a unique combination of bacteria, fungi, and viruses. It was long thought that these microorganisms were nothing more than harmless critters simply using us for their own survival. But recent data has demonstrated that this isn’t quite the case. In fact, the relationship between you and your microbiome is one of great complexity, with the state of your microbiota severely impacting the state of your body (and vice versa). Researchers now know that the state of your microbiome can affect your digestive health, your immune system function, cognitive health, and, now, they think, even your weight. Now, while this may seem a little absurd, it is actually quite an amazing thing. 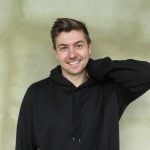 You see, the realization that your microbiota and your body are so interconnected has opened up a number of new and unique ways to improve your health by manipulating and improving the state of your microbiota. And, yes, this even includes ways to enhance weight loss. One such way is through the use of probiotics. How Do Probiotics Reduce Calorie Absorption? How Do Probiotics Increase Insulin Sensitivity? 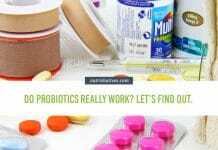 How Do Probiotics Alter Hormone Secretion? How Do Probiotics Enhance Nutrient Absorption? How Much Weight Loss Can Probiotics Cause? Which Probiotics Help You Lose Weight? In short, probiotics describe foods or supplements that are full to the brim with live, healthy, microorganisms. By consuming these probiotics, you help colonize your digestive system with these health-boosting microorganisms. Now, you might be wondering, “How does consuming little critters assist weight loss? 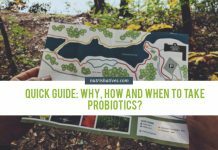 Is it worth taking probiotics just for weight loss?” Hopefully, we can provide some clarity on these questions for you here. 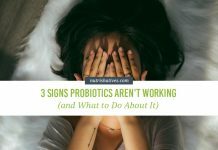 Through each of these key mechanisms (which are explored further below), probiotics help you lose weight in a healthy manner. There are hundreds upon hundreds of different microorganisms living within your digestive system. Interestingly, the ratio and balance of these bacteria appear to have a significant impact on your body weight. Both human and animal studies have demonstrated that individuals who have a healthy body weight have markedly different bacterial profiles than those classified as either overweight or obese (with overweight individuals exhibiting more ‘bad bacteria’, and less ‘good bacteria’ than their healthy-weight counterparts). These bad bacteria may promote excessive absorption of dietary fat from the food that you eat, leading to a severely elevated daily energy intake and, subsequently, weight gain. 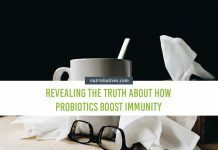 By improving the ratios of bacteria in the gut, the consumption of certain probiotics (with specific emphasis on those from the ‘Lactobacillus’ family) can reduce the absorption of dietary fat. As a result, you ‘harvest’ fewer calories from the food that you eat, a process that can aid weight loss. In conjunction with reducing fat absorption, good gut bacteria help ferment and break down complex carbohydrate molecules called fibers. Through this fermentation process, byproducts, so-called short-chain fatty acids (SCFAs), are produced and absorbed into the bloodstream. Interestingly, these short-chain fatty acids can cause significant reductions in the secretion of pro-inflammatory cytokines, thus reducing systemic inflammation and improving insulin sensitivity. Resistance to the hormone insulin is strongly associated with increased blood sugar levels, reduced metabolic health, and weight gain. By improving the body’s sensitivity to the hormone insulin, probiotics can increase the body’s capacity for weight loss. As previously mentioned, bacteria from the Lactobacillus family can significantly reduce the amount of fat absorbed from the food we eat. Amazingly, these same bacterial strains may be able to influence hormone secretion, positively impacting weight management even further. Lactobacillus probiotics have been shown to stimulate the secretion of the hormone GLP-1. GLP-1 is one of the most important hormones involved in increasing satiety after eating (that is to say “reduces appetite”). It also boosts energy expenditure and fat metabolism. Research also shows Lactobacillus species can increase the levels of the hormone ANGPTL4 circulating within the body. This unique hormone can reduce the amount of energy within the body stored as fat, making it more readily available for actual use by your tissues. Through these two unique actions, Lactobacillus-based probiotics have the potential to improve hormone function, enhancing weight loss. In addition to all the direct metabolic effects, probiotics also help you lose weight by enhancing your digestive health. This boosts your body’s ability to absorb key B-group vitamins and vitamin K.
Each of these nutrients is known to play many important roles in your body, many of which relate to energy metabolism. Their increased absorption, therefore, can enhance the efficiency of metabolic pathways and improve energy production. While this does not directly change your body’s ability to lose gained weight, it may impact new energy storage. This can reduce unnecessary fat accumulation in the first place. Now, before you get too excited about your probiotic helping you ditch extra weight, we should clarify a few things. Probiotics do offer you with an excellent way to enhance your digestive function, improve your hormonal balance and boost your immune system. It is important to recognize, however, that these improvements have the capacity to assist weight loss, not create it. To actually lose weight you still need to maintain a slight energy deficit on a weekly basis, because, at the end of the day, to lose weight you need to expend more energy than you consume (something that is quite simple in theory, but not so simple in application, I know). To give a simple example, studies looking at the effectiveness of probiotics on weight loss without exercise or dietary intervention, demonstrated an average weight loss of 0.6 kg (1.3 lbs) in 12 weeks… which is fairly minimal. But combine this with diet and exercise, and we would expect much better results! Given the above information, we wanted to give you five great options that you can start implementing into your diet and exercise regime to help aid your weight management goals right now (if you want to!). 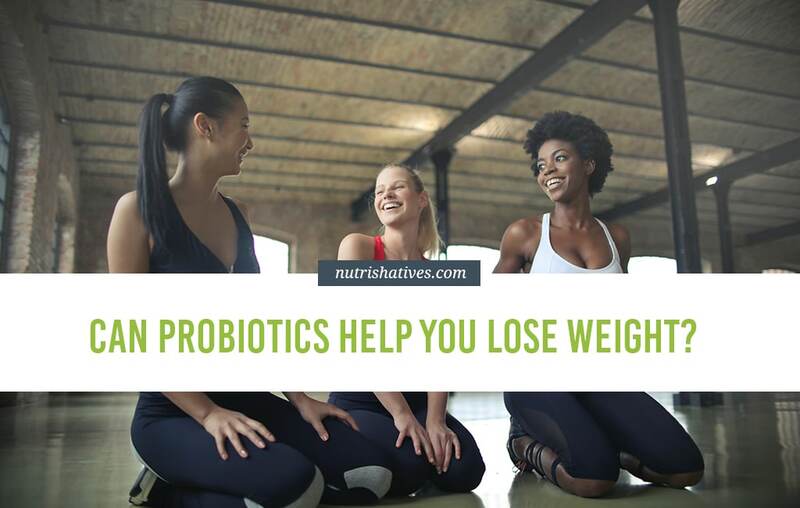 Each of these probiotic supplements includes key bacterial strains that have been specifically shown to induce weight loss and reduce the risk of obesity. This key probiotic supplement by Bio Sense contains two strains of bacteria, Lactobacillus plantarum and Lactobacillus casei, which have shown strong associations with weight loss. A whopping 94% of individuals who reviewed this product on Amazon have given it 4 or 5 stars. 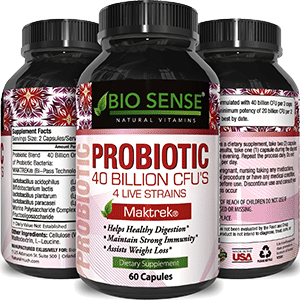 The vast majority of customers claim Bio Sense provided them with marked improvements in general health, immune system function, as well as digestive discomfort. 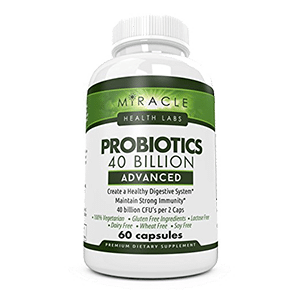 This probiotic supplement by Miracle Health contains Lactobacillus acidophilus, Lactobacillus plantarum, Lactobacillus paracasei, and Bifidobacterium lactis – four health boosting strains of bacteria, each of which has been shown to improve weight loss and reduce the risk of developing obesity. Of the 90% of people giving this product over 4 starts, many claim Miracle Health Lab helped them lose weight. 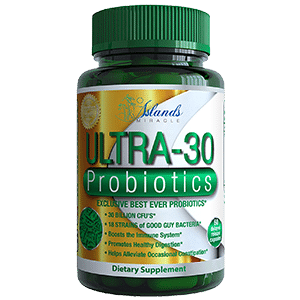 Islands Miracle Ultra-30 probiotic is one of the most popular probiotic supplements on Amazon at the moment. It contains 18 strains of bacteria, many of which have strong associations with reduced weight. These include Lactobacillus acidophilus, Lactobacillus plantarum, Lactobacillus paracasei, Lactobacillus reuteri, and Bifidobacterium lactis. At this point in time, over 1,150 people have reviewed this product, and 90% of them have given it 4 or more stars. Of these individuals, many have reported seeing noticeable weight loss and reductions in digestive discomfort. 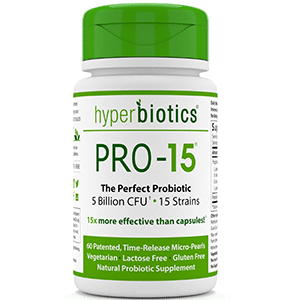 This probiotic supplement by Hyperbiotics includes 15 strains of bacteria. These include the weight-loss promoting species Lactobacillus acidophilus, Lactobacillus plantarum, Lactobacillus paracasei, Lactobacillus reuteri, and Bifidobacterium lactis. Of the incredible 7,518 people who have reviewed this product (at the time of writing this article, anyway), more than 600 have rated it 4 stars or above. An exceeding number have reported experiencing weight loss and huge improvements in general health and well-being. 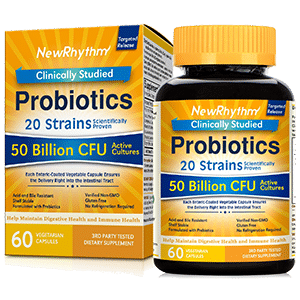 Our final supplement by NewRhythm offers you 20 strains of bacteria, including the weight loss promoting Lactobacillus acidophilus, Lactobacillus plantarum, Lactobacillus paracasei, Lactobacillus reuteri, and Bifidobacterium lactis. About 90% of consumers have rated this 4 stars or more on Amazon. Customers report weight loss, reduced incidence of cold and flu, improved digestive function, and boosts in overall health. 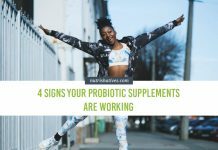 Probiotics are arguably one of the most exciting supplements to hit the market in a very long time. Previous articleProbiotics Protect Against Infections. This is How It’s Possible. Next articleProbiotics Affect Metabolism, Says Study. Find Out How.